Back in July I recommended the book, Poetry in Person: Twenty-five Years of Conversation with America's Poets, edited by Alexander Neubauer. One of the conversations that particularly interested me was Edward Hirsch's. He spoke about the writing of his poem, "Wild Gratitude." I paused over his comment about stanza form. I'll include the question that was directed to him and his response. STUDENT: In the several drafts that we read of "Wild Gratitude" it remained a block. No stanza breaks until the final version [broken into six stanzas]. I was wondering, at what point do you make that decision? In your poetry you very often have four-line stanzas or six-line stanzas that you really stay with. Do you feel pressed to maintain six lines when it wants to break on the fifth line? HIRSCH: Yes. I think that a form, though, which is what you're talking about to some extent, is a series of expectations. It's a contract that you set up, as a musical form, a series of patterns and expectations and fulfillments and thwartings and movement, and your task is to work through the form so that the reader can follow. Many poets do something that drives me up the wall. They'll do five lines, five lines, five lines, five lines, four lines, five lines, six lines, five lines. Formally, it doesn't make any sense to me. I believe it has to make sense. HIRSCH: I always begin with a stanzaic idea. That is, I try to write by the line as a unit of meaning and by the stanza as a unit of meaning. Sometimes that's regular and sometimes that's irregular. I follow it through. Sometimes when it's operating well, it fulfills itself; other times it's not fulfilling itself, so you have to change it. Or something feels radically wrong to you—as it began to feel with "Wild Gratitude" as a big block. So I had to fool with it. Each poem is different, but what I would say about it overall is that I have a stanzaic idea to get me going. If the poem is not alive, if something is not happening, then I change it. And I decide the way Marianne Moore decided her stanzas. She wrote one, and if that seemed attractive, she kept going and kept patterning it like that. Okay, now I get it. He begins with a stanzaic plan but does not feel married to it though he is committed to logical breaks. I returned to the poem to see if I could discern the logic behind the stanza breaks. The breaks are not at sentence ends—the first stanza breaks with a comma, the second with a period, third with a comma, fourth with no punctuation (separates subject and verb), fifth with a period. So what guided the breaks? My sense is that as Hirsch read the poem aloud there seemed to be a logical moment of pause right where he made his stanza breaks. That feels right to me. This interested me as it's something that always concerns me as I go through multiple drafts. There's something in me that wants the stanzas to be orderly in appearance—line lengths approximately equal, number of lines per stanza equal. Certainly, not all of my poems cooperate in this desire and I thank them for their defiance. Wouldn't it be tedious to have that much order? But I wrestle with form and it causes me some tension. That tension is probably a good thing. I still find it hard to live with a pattern like this: 4, 4, 4, 3, 4. Seems like a line is missing in that second to last stanza. I can comfortably accept, however, 4, 4, 3, 4, 4. Then the stanza with 3 lines feels like a balancing point. I'm also comfortable with 4, 4, 4, 4, 3. Likewise, I can't bear it if in the middle of a poem one line is significantly longer than the others. But it's okay with me if the last line is. I should have lived in the Renaissance. Back in 2003 Julie Maloney had a dream. 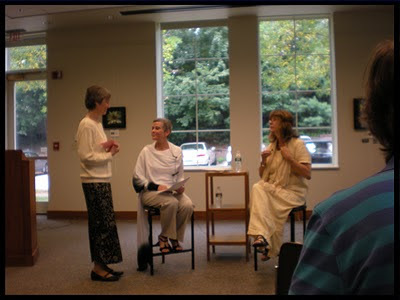 It involved bringing women together to further their love of writing. She set about making that dream come true. The result was Women Reading Aloud, which Julie describes as "an organization dedicated to the power of the writer’s voice. 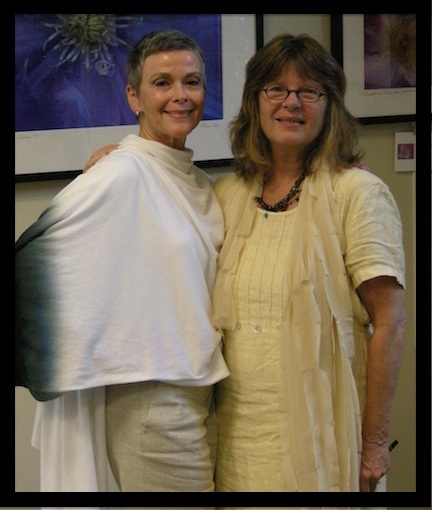 WRA believes in providing space for artistic growth. Founded in New Jersey in 2003, it offers writing workshops modeled after the Amherst Writers and Artists Method, the Author Series and Work-in-Progress Series, Writing and Yoga Program, conferences and retreats where women writers can explore their 'authentic' voices. Founded on the 3-in-1 principle, Women Reading Aloud focuses on the equal value of the writer, the reader, and the listener. All genres are welcome. WRA encourages writers to cherish their own voices, as well as the voices of others, as they travel the writer’s journey." Over the years Julie's dream has only grown. She now runs a variety of programs, all listed and described at the WRA Website. Most recently, she's added a summer retreat to a Greek island. On Saturday, September 10, Julie hosted "Tea and Conversation," as part of her Author Series. 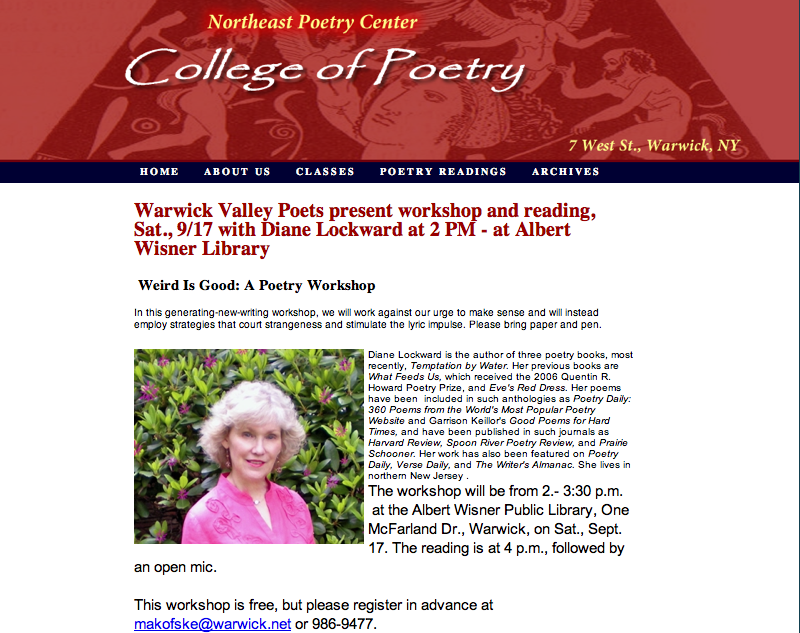 This program is held in conjunction with the Bernardsville Public Library in Bernardsville, NJ. The program was free and open to the public. 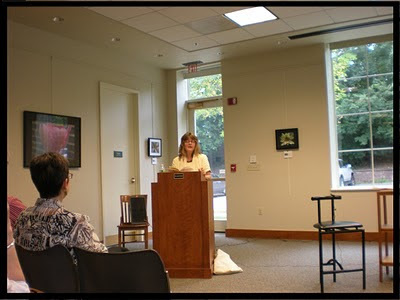 The room was filled with poetry lovers who'd come to hear Dorianne Laux talk about and read from her new book, The Book of Men, and her earlier books. The program began with Julie asking Dorianne a series of questions. Dorianne did not have the questions ahead of time so the conversation was spontaneous and natural—and wonderful! Dorianne then read from her books. She did the reading almost entirely by audience requests—an approach I'd never seen before. It was fascinating to see which poems the audience would request and then how comfortably Dorianne read them. She ended with new work. Then came an audience Q&A and finally a book signing. How nice it was to see people waiting in a long line, all anxious to buy the new book and get it signed. This was a wonderful program. I salute Dorianne for coming all the way from North Carolina. And I salute Julie Maloney for having a dream that involved bringing writing and reading into the wider community. I hope she will serve as inspiration to others. Please note that due to flooding the venue site has been changed from its usual spot. The correct location is the Albert Wisner Library. A few posts ago, I posted a link to Soundzine where three of my poems currently appear, each with an audio. Since I had the audio, I decided to make a video, maybe two or three. I chose "The Fruitful Woman" to do first. I'd already done a poem video of this same poem a few years ago, but I thought I could do a better job now as I've acquired more knowledge about video-making. So take a look. I made this video using iMovie on my Mac. However, I wanted my cover and end clips to be a bit snazzier than iMovie allows. My big, huge help here was Matthew Pearce who makes tutorials that he posts at YouTube. I have learned so much from Matt. One thing I learned was how to use Keynote with iMovie. 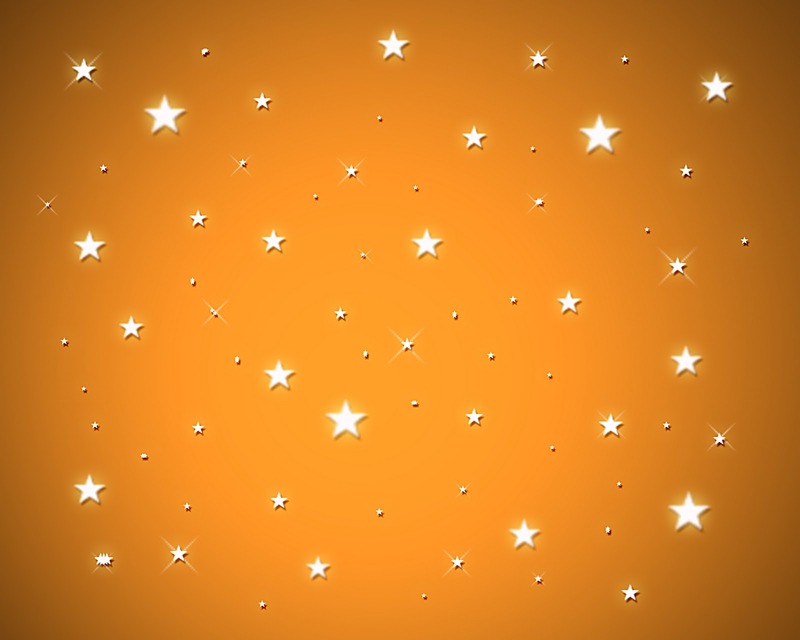 In Keynote there are many more transitions and effects than in iMovie. It's a bit tricky at first, but once you get the hang of it, you've got it. After making the shots I wanted, then I used Share to export them into my movie project. If this sort of thing interests you, you can find Matt's tutorials by going to YouTube and putting "mattsmacintosh + imovie" into the search window. Something else I learned from Matt was how to use Picture in Picture. That allowed me to have the moving apple tree video in the background and to superimpose the fruits in the middle. However, picture in picture usually adds the image inside a rectangular frame. That looks very nice, but I wanted transparencies so that the images would sort of float on top of the tree. This is where it got hard and very time-consuming. After I gathered my images, I one by one got rid of the background colors by using Instant Alpha, a tool that's part of Preview. I kept getting the Spinning Beach Ball of Death and had to make a few calls for tech support. Got rid of it. But then discovered that Instant Alpha in Keynote works more efficiently. Eventually, I had all my images de-backgrounded and saved as .png (essential as .jpegs won't show as transparencies). I'll illustrate how this works by following the progression of one picture, the final one in the video. Here it is in its original form. This photo struck me as perfect as it has skin and fruit. But it also has a definite background which I had to get rid of so I could have the woman floating in front of the tree. That's where Instant Alpha came in. After several days and many hours of fiddling, I at last got rid of the background colors. This one was challenging as there was more than one color to kill. 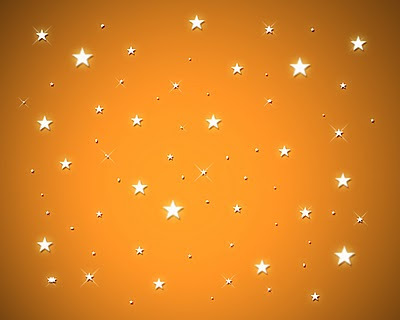 At last I got the image you see above. But something was missing: her elbows! That looked too weird when I added it to the video. So I went to Picnik, one of my favorite sites. (If you haven't checked it out, do so.) I used a tool called Doodle to draw in some elbows. I colored them but couldn't get a really good skin match. They looked kind of like prosthetic devices. Then in an attempt to make the elbows look more natural, I used Blush, Wrinkle Remover, and Airbrush. Better but still not great and there's a bit of a seam. One more idea. I found some leaves in Picnik and added them to the elbows as camouflage. That worked fine as the leaves fit in with the leaves on the apple tree. While this project was time-consuming, it was also fun and I'm pretty happy with the result. I've had three pieces of good news this past week. 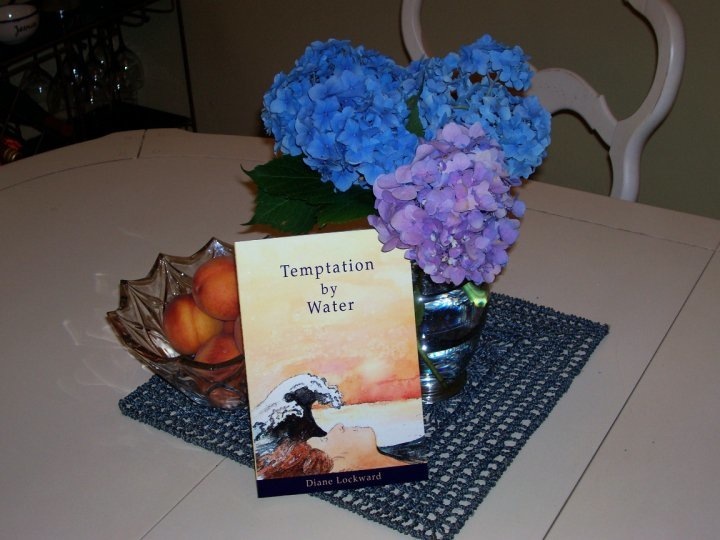 First is an excellent review of my book, Temptation by Water. The reviewer, Maryanne Hannan, has done a wonderful job with the review which appears in Innisfree Poetry Journal, a very fine online journal devoted to poetry and 2-3 book reviews. I particularly like this review as Hannan considers all three of my full-length books. She points out similarities and differences, traces developments. I think it's pretty cool to have my entire oeuvre covered! The review begins, "The temptation to read Diane Lockward's latest book, Temptation by Water, as the final volume of a trilogy, building on her two previous full-length collections, Eve's Red Dress (Wind Publications, 2003) and What Feeds Us (Wind Publications, 2006)—proves as irresistible as her luscious homage to peach, "Prunis Persica." The books, with striking cover art by Brian Rumbolo, complement each other physically and share the same gutsy, intelligent voice, forthright exploration of a deeply particular human life, and lavishly precise language." Read the entire review HERE. While you're there, be sure to check out the poetry. The next piece of good news appeared on my front porch in a package delivered by FedEx. 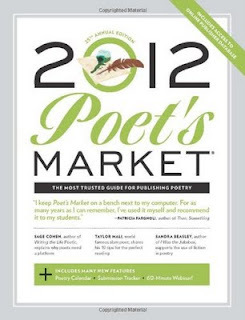 It was a complimentary copy of the 2012 Poet's Market. 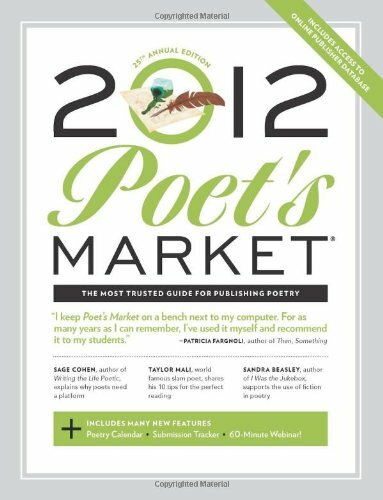 Nice, but the real surprise was discovering that my article, "Finding Readers: How to Get Your Poetry into Their Hands," is reprinted there—for the 4th time! 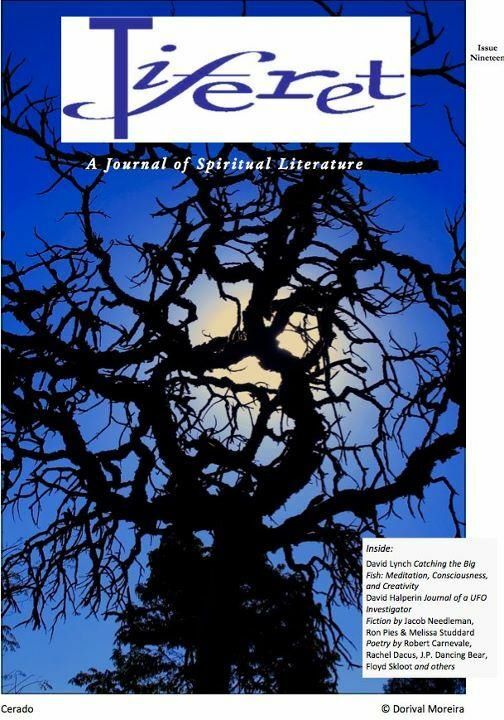 I like having my article appear and reappear in what many poets consider their bible. The articles in this edition are especially good. So if you usually skip them, don't this time. For example, there's a wonderful article by Taylor Mali on how to give a good reading. If you've ever heard Taylor give a reading, you know that he knows what he's talking about. Another article by editor Robert Lee Brewer offers good tips on how to be a successful blogger. Then one by Sandra Beasley on straying from the factual truth in poetry—well, I wish I'd written that one. Beasley expresses my own position perfectly. Her piece ends with this gem of wisdom: "At the end of the day, we have only one face. But the masks we can wear are infinite." Apparently that wasn't enough good news for me, so today I received word that food blogger, Nina Soifer, has included my poem, "Prunis Persica," in today's post, an especially delicious one with tantalizing photos and tempting recipes. The eggplant appetizer just about had me drooling all over my keyboard. My poem is accompanied by a recipe for Grilled Jersey Peaches. I should mention that Grand Marnier is part of the recipe. How could that not be delicious? Please visit Food for Us, but wear a bib. This is a new blog which plans to feature food and poetry. I like that combination. Please help to spread the word for Nina. This has been a good week for my peach poem. 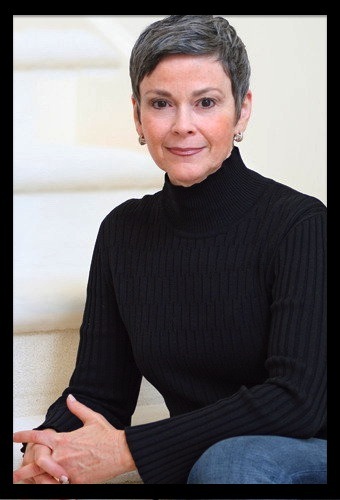 Julie L. Moore read the poem for Conrad's Corner on WYSO Radio in Ohio. I previously posted about that, but in case you missed it, here's the media player with poem again.